A fighting voice for Veterans and their issues. But in the years since we incorporated, we have grown and are doing so much more! Please take some time to explore all the ways MFSG may help! Since 2005, Military Family Support Group (MFSG) has been open to all family members and friends who have, or who have had, a loved one serving in any branch of the U.S. Military. There are no other membership requirements or dues. We are a volunteer-led, community-based, non-political, non-religious, charitable organization and we obtained our 501(c)(3) status in 2013. 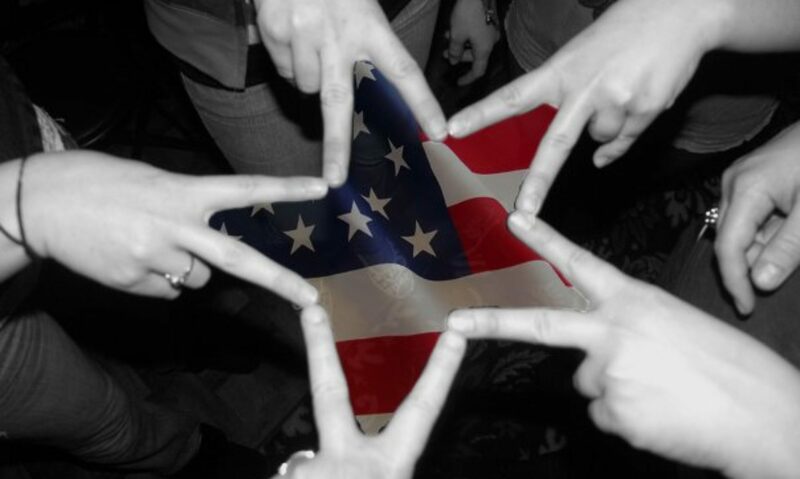 Military Family Support Group is made up of volunteer individuals who are determined to make a difference in the lives of local military/veteran families because we understand what it means to have a loved one serve in the armed forces – whether they are…. 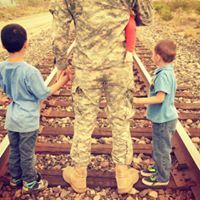 We know and understand the complicated emotions and special situations that military/veteran families experience and we are in a unique position of being able to offer immediate aid. If you are a military/veteran family in El Dorado County and need information, transportation, moral support, financial aid, clothing, food, fuel, household items, furniture, or a simple hand up, please contact us at (530) 497-0878. We traditionally have met on the 4th Tuesday of each month at the Veterans Memorial Building in Placerville, but due to staffing issues, we have temporarily suspended these meetings. If you would like to help us revive the meetings and are willing to help facilitate, please let us know! Our outreach has pushed us to grow as an organization and as a result we have created an office space where those in need can get services right away: El Dorado Veteran Resources – a Permanent Stand Down – Powered by Military Family Support Group (commonly referred to as EDVR). 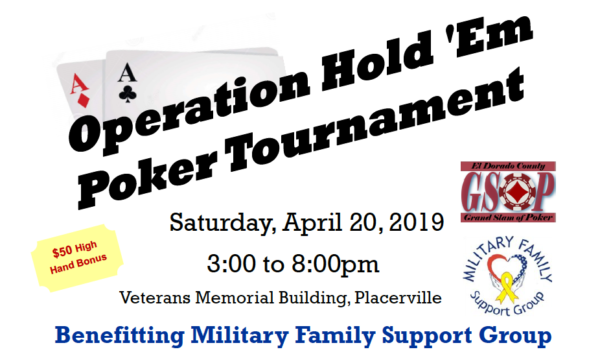 This is a very unique one-of-its-kind-in-California ground-breaking collaboration between many wonderful community organizations and the El Dorado County Department of Veteran Affairs and we are immensely proud! Our office and our transportation department is staffed completely by volunteers – some of them veterans – and we work tirelessly to honor and empower veterans and their families. The EDVR office is located in the Veterans Memorial Building, 130 Placerville Drive, Suite A, Placerville, CA. Our office hours are Monday – Friday, 9:00am – 4:00pm. Phone: (530) 621-5146. Together we are stronger. As family members of those who either are currently serving or who have served in our nation’s armed forces, we understand this simple concept. Those of us keeping the home fires burning so that our loved ones can find their way home need to be there for one another…sometimes it is finding their way home from deployment; sometimes it is finding their way home after coming to terms with their new civilian ‘normal’; or sometimes it is finding their way home after many, many years of fighting personal battles related to their military service…no matter. We sometimes need the strength of others to help us patience and understanding along the way! We may not have all of the answers or solutions to every problem, but at MFSG we are here to listen, encourage, and help where we are able. We are inspired by the quiet strength, inner resolve, and tenacity of many of our military/veteran families who are relentlessly resilient. We are inspired by those downtrodden, misunderstood, and temporarily side-tracked veterans who are some of the strongest people we know, but who need a little encouragement on their path. We are inspired by our generous and caring community who truly care about military/veteran families in El Dorado County. Together, We are Stronger!